Security vendor Bitdefender claims it has doubled its channel sales every year since it changed its focus from consumer to corporation. Now, as it launches Bitdefender Hypervisor Introspection, a new security system for the virtual world, de facto channel supremo Jamie Pearce explains why APTs could be advanced and persistent opportunities. It’s been a busy two and a half years for Pearce, but it’s about to get harder. In the rush to enjoy the benefits of cloud computing, he explains, companies are opening themselves up a little too much for the liking of the board and industry regulators. The downside of being more intelligent is becoming more sensitive. Bitdefender Hypervisor Introspection was designed specifically to address the growing pains of the cloud. The combined efforts of VMware, Citrix and Nutanix have fuelled the growth of everything from virtualisation to visors - but you can’t have hyper growth without encountering a few hyper problems. Bitdefender claims to be the first to address one of the most sensitive areas in enterprise computing - the raw memory stack. Criminals have long since spotted this gap in the defences of ‘the virtualised’ and, since hackers are a lot more agile, they’ve quickly learned to use zero day vulnerabilities to get in and plant their pernicious code and infect the body of many organisations. Many an advanced persistent threat has lain dormant in the nervous system for up to five months, before being activated and surfacing with horrible results. Anyone who suffers from cold sores will recognise this: APT is an enterprise’s answer to herpes simplex, a sort of Hyper Herpes. That makes Bitdefender Hypervisor Introspection a sort of IT version of the drug Acyclovir. Together with Citrix, it Bitdefender has developed a new hypervisor introspection technology, which takes a new approach. 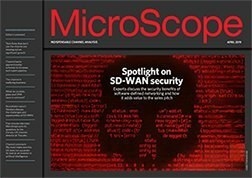 Instead of focusing on identifying individual malware samples – like traditional security vendor do – it detects the attack techniques used by advanced threats. These techniques often involve memory manipulation and are commonly referred to as zero-day vulnerabilities. HVI uses Citrix’s hypervisor to instantly read raw memory and detect any manipulation techniques employed by advanced threats, offering clients immunity from these APTs. A controlled release of this technology was announced in March with a full commercial launch being planned for ‘the second quarter’ of 2017. Pearce was recruited in 2014 to build the UK and Eire channel for Romania-based Bitdefender, which was previously better known for its anti-viral products for the consumer. As a security veteran, the ex-Watchguard graduate can presumably ‘hyper grow’ a channel more rapidly than most, just by contacting all his contacts who see him as a trusted source of intelligence. Bitdefender’s channel has experienced its own hyper growth - from 0 to 600 partners in two years. Surely that will create challenges that need to be address too. Having investigated Rumania, on a fact finding trip, it has to be reported that they outperform us on many levels of IT and communications. Most people in Bucharest seem to speak at least five languages, whereas many Brits have a pretty limited vocabulary in one. Rumania has historically had some of the best schooling in algebra and mathematics, which is why it produces a consistent stream of talented developers. So their intellectual capacity, per head of population, is way ahead of ours. As is their networking bandwidth, where ISPs offer up to ten times the speeds we can get, at a fraction of the price! Calul bun se vinde în grajd, as the locals say. This translates as ‘a good product does not need advertising'. Perhaps not, but they could use some enthusiastic channel partners.